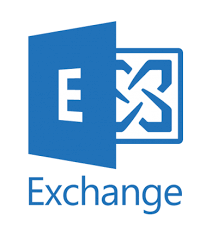 See this comparison of Microsoft Exchange Online Archiving vs Cryoserver. Cost effective archiving with ultimate flexibility and scale-ability. Small and mid-sized customers looking for an easy to use and deploy archiving solution with compliance. Large enterprises such as financial institutions looking for advanced archiving of data. Cyroserver is a cybersecurity vendor for business which specialises in Email Archiving. They offer both and on premise and cloud hosted archiving platform. They store a copy of every email sent or received within an organisation in a secure and searchable archiving platform. Their archiving platform is aimed predominately for small and mid-sized organisations. Their email archiving solution is distributed in over 25 countries globally. They focus on ease of use and management with cost-effective archiving scalability. Cryoserver offer a good archiving solution for small and mid-sized customers looking for a low cost archiving solution which is quick to deploy and easy to manage. It offers a good range of features such as role-based access and end user access. The archive secures all emails from being edited or deleted. The platform is ideal for growing businesses, as it’s pay as you go and has no restrictions on the amount of data that can be stored for the cloud based options. This scalability and flexibility is a key benefit of this service.